This online service replaces a printed Abstract Book. Search the abstracts by keyword or author. Sessions are organised by the ERS Scientific Groups and Assemblies according to themes. Sessions have been grouped transversely to include all sessions that might be related to a specific topic (e.g. asthma, COPD, lung cancer, etc.). Simply print the selected pages or download the full abstract book. 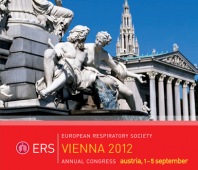 For authors who have presented an abstract at the ERS 2012 Annual Congress in Vienna, citations should be made in the following way: Authors. Title. Eur Respir J 2012; 40: Suppl. 56, XXXs.